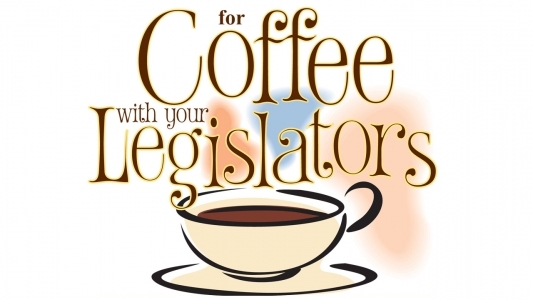 HARTFORD – State Representative Gail Lavielle (R-143) and State Senator Toni Boucher (R-26) co-hosted a "Coffee with your Legislators" event Tuesday morning at Orem's Diner in Wilton. The two legislators, who both reside in Wilton, were joined by about a dozen constituents who discussed their most pressing questions and concerns about state issues. While the event was friendly and convivial, the attendees raised a number of serious issues. The first discussion topic was a business-owner's concerns about the current administration's economic development policies, which he thought should be focused on reducing costs and improving conditions for all businesses, rather than offering one-time incentives to selected companies. He contrasted this with policies in other states with economies that are much stronger than Connecticut's. Issues mentioned multiple times included the state's high taxes and burdensome regulations, its fiscal condition and low economic rankings, and persistent problems with Metro-North and traffic on I-95. Several participants said that Connecticut's high taxes have made them seriously consider the possibility of moving to other states that offer more attractive prospects for both jobs and retirement. "One of the most important parts of our job is listening to what's on our constituents' minds," said Rep. Lavielle. "Many of those who took the time to join us today said that while they love Connecticut, they are deeply concerned about its future. They'd like to feel confident that they can look forward to retirement here, that their children can find jobs here, and that businesses can survive and grow here. But like many other state residents who have shared their perspectives with us, they feel that important policy changes will be necessary for this to happen. As their representatives, we'll continue to propose and fight for concrete measures aimed at restoring Connecticut's financial health, repairing and upgrading its infrastructure, and improving its quality of life. Discussions like the one we had today demonstrate just how important it is to take action to revive our state's enormous potential." "We take the feedback we receive at these outreach events and bring it to Hartford," Sen. Boucher said. "Area residents shared with us their concerns about taxation, the state's business climate, our transportation infrastructure and the cost of living in Connecticut. Many local taxpayers are frustrated with the direction in which our state is going, and as your state legislators, we share that frustration. Hosting frank discussions about the future of our state are beneficial and make us better legislators. We will continue to push for policies at the State Capitol which improve our quality of life, straighten out or state finances, and encourage businesses and residents to live and work here. We thank everyone for stopping by, and those who could not attend can contact us at any time." The constituents were pleased to have the opportunity to speak frankly with their legislators, who in turn were very appreciative of the feedback and thanked the group for sharing their thoughts. Rep. Lavielle and Sen. Boucher will be holding another roundtable event on July 10th from 7:00 PM to 8:30 PM in Westport Town Hall, Room 307/309. As always, both legislators invite those unable to attend either the Wilton or the Westport event to contact them directly with any thoughts or questions.